Water Source – If you’re not aware of where the floodwater is coming from, we will perform an immediate investigation to zero in on the source. Our water damage restoration team will then focus on stopping the water source to prevent the entry of more water to additional areas of your household or business to prevent any additional damage. Moisture Mapping – Using a combination of probes, sensors, thermal camera and manual searching, we will track down every pocket of floodwater, wet and damaged building materials in your home or business for proper documentation. We will also measure the humidity in all affected areas to make sure we also get rid of excess moisture in the air. Water Extraction – With the water damage mapped, we will bring in powerful pumps and portable water extraction machines to remove any standing water and saturated carpets. These machines have a strong suction power that draws in all the water while keeping your property safe. Flood Containment – Once we know where all the water is and how much damage it has caused, we will contain the affected areas of the structure from the non-affected areas. We will use a combination of barriers and negative air pressure to make sure water and contaminants from the removal process don’t cross contaminate other parts of your home or business. Dehumidification – We will draw the moisture out of the air and building materials to dry your home or business. By bringing in dehumidifiers, we’ll bring indoor humidity levels back to normal. The goal is to get your affected wet areas back to the ‘standard’ level of the none affected areas in your structure. Disinfection – Water intrusion can spur the growth of bacteria, viruses, and fungi that can cause additional damage to your building like mold growth or irritations and serious illnesses for people within your building. To prevent any additional damage and health we will thoroughly disinfect all affected areas in your household or business with a 100% green all natural disinfectant. Air Scrubbing – During the water restoration process you have a lot of contaminants being put in the air through the removal process and the entry of potential dirty water. In order to keep your space safe and clean after the drying is complete, we use air scrubbers with HEPA filters to remove contaminants in the air. Deodorization – Water damage can leave a persistent, musty odor that’s hard to track down and deal with. If a scent lingers on after our cleanup and disinfection efforts, we’ll deodorize your place and have it smelling fresh. Structure and Contents Restoration – Based on our assessment of the damage to your building and its contents, we will provide you recommendations on what needs repair, restoration, and reconstruction. We will go through with you and your insurance adjuster to determine which contents can be cleaned, what you would like to replace entirely and what coverage you have according to insurance. Final Assessment – When all the work is done, we will walk through with you for a final inspection and certificate of satisfaction to be completed, indicating that all work is complete and to the standards set by IICRC and Kidd’s Restoration Services. one more time to make sure you’re completely satisfied. We want to know if you feel that we’ve brought back your home or workplace to its pre-disaster form and if not, we’re willing to make adjustments to ensure it’s done right. 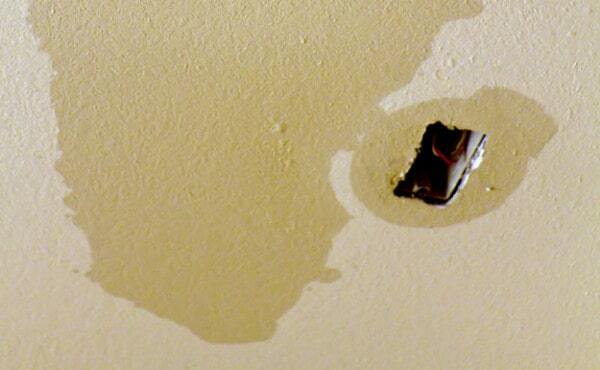 Not sure if you have water damage in your home? Recently had a sink overflow, a water leak underneath or behind your sink, vanity, cabinets, shower/tub and not sure if there is water damage to your home and if you need professional help?